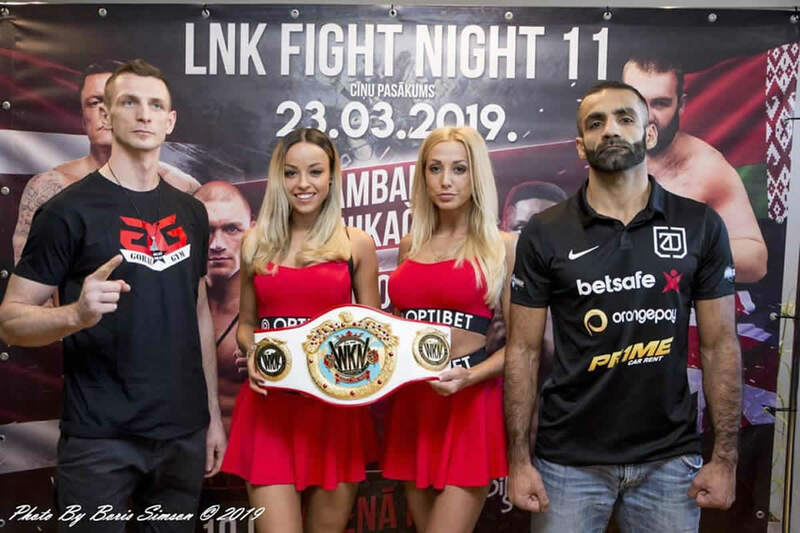 Vadim Milov and Eugene Sapronenko present “LNK Fight Night 11” tonight (Mar. 23) at Arena Riga in Riga, Latvia. The event features kickboxing, boxing and MMA bouts with WKN European title contested on the card. Representing the country-host Zaur Dzhavadov faces Jozef Kolodzej of Slovakia. The pair battles it out for WKN European Middleweight title in oriental kickboxing. The official weigh-in ceremony was conducted on Friday. The championship bout is scheduled for five rounds.